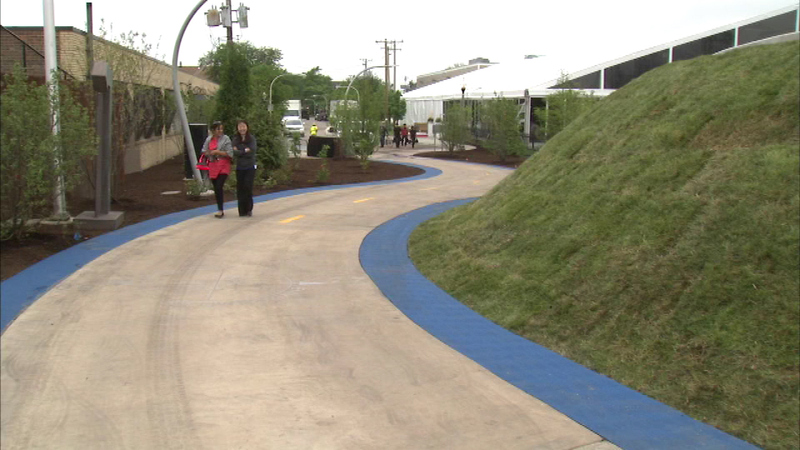 "The 606" opens to the public on Saturday. CHICAGO (WLS) -- A new jewel in Chicago's park system opens to the public on Saturday, but supporters of "The 606" turned out for the Above the Rails Gala in Logan Square Friday night. The centerpiece of the new park is the Bloomingdale Trail, a 2.7-mile elevated trail linking six neighborhood parks. It's built off an abandoned rail line. The name "606" comes from the first three numbers in all Chicago zip codes. ABC7'S Steve Dolinsky hosted the event.